Anna Hong Lin Gou, Immigrated to Canada in 2001. She previously served as the regional director of marketing in a number of well-know international IT companies across China for over 20 years with excellent marketing and management experience, client relations and leadership skills. Anna got her MBA in Finance and Marketing in Oklahoma City University in 2005. Anna also received the BC Top 10 Outstanding Chinese Women Award in 2013; the Outstanding Women of Canada Award in 2015. 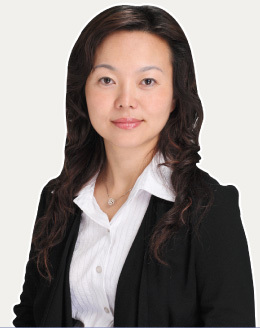 Anna Hong Lin Gou (PREC) is co-founder of LeHomes Realty Premier, she was also co-founder of Luxmore Realty Group. Anna Hong Lin Gou PREC* was awarded as Greater Vancouver Medallion Club Award Winner from 2011 to 2017; Awarded as President Club Member of Greater Vancouver Broad in 2015 and 2016. Anna also is VP (Marketing and Strategy) of Electra Meccanica Vehicles Corp.; VP (Investment and Strategy) & CFO of Flying U Management Group and VP of Pacific Rim (PC/AG) Real Estate Holdings Corp.